How do you prevent weight loss on keto while getting all the great benefits that come with ketosis? The keto diet has been increasingly common in recent years. It is an effective way to create foundational physiological changes in your body that can result in increased energy, reduced inflammation, better brain power, improved skin, and many other health benefits. One of the main reasons that people love keto is because it is incredibly effective in burning fat, reducing cravings, and helping weight loss. While this is fantastic news for many people, it can create tension for people who are already lean and don’t want to lose weight. If you are already lean or at a healthy weight and want to prevent weight loss on keto, then I have good news for you. First, let’s discuss the benefits of keto and why it may lead to challenges for people who are underweight or lean. Then I will share with you 10 powerful strategies to prevent weight loss with keto while experiencing its full benefits. While the keto diet is incredibly popular for its ability to result in substantial weight loss, it is not an old fad diet and it can drastically improve your wellbeing. The keto diet can create foundational physiological changes in your body which result in increased energy, reduced inflammation, and many other health benefits. Let’s look at the benefits of keto one by one. One of the main reasons I recommend the keto diet is because it can drastically lower inflammation by reducing free radical production by burning ketones for energy instead of glucose. Lower inflammation increases energy production and overall health while decreasing the risk of chronic disease and pain (1). 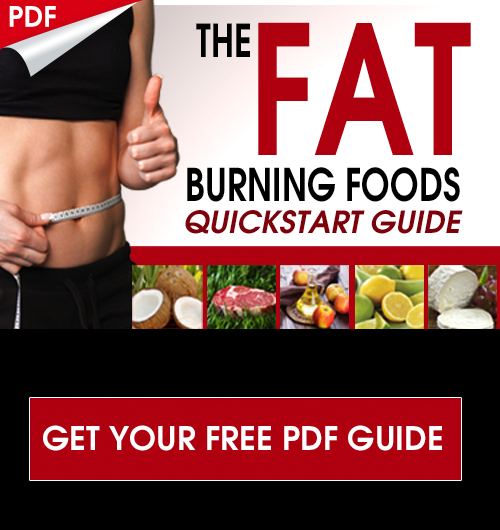 If you are looking to burn fat effectively, the keto diet may be the best choice. When your body is in the state of ketosis, it is burning fat for energy. This helps to increase excess body fat loss, stimulate weight loss, and improve your lipid profiles (2). Low-carb diets such as keto may help to reduce your appetite and decrease the risk of overeating. Ketosis can also lower your insulin levels and lead to rapid weight loss. Moreover, it turns out that with low-carb keto diets, the weight loss mainly consist of fat loss from the abdominal cavity (3, 4, 5). While weight loss is good news for most people, it may be concerning to those who are already underweight or don’t need to lose weight. If you are reading this article, you may be one of those people who is worried about further weight loss. Don’t worry, later in this article, you will learn how to prevent weight loss with keto while still experiencing its health benefits. The keto diet can be particularly beneficial for those with insulin resistance and diabetes. Reducing carbs in your diet can lower your blood sugar and insulin levels, and decrease your risk of diabetes (6). The keto diet can reduce neurological inflammation that has been linked to depression, anxiety, and poor cognitive function. If you are doing a keto diet, you may experience improved mental clarity, sharpness, and memory (7). The keto diet can lower inflammation in your body, stabilize your blood sugar, upregulate mitochondrial Biogenesis, and create more Adenosine triphosphate (ATP) per molecule of ketone versus glucose. All this results in an abundance of energy improving all areas of your life. A keto diet can reduce inflammation in your body, including inflammation of the skin. It may improve gut bacteria imbalances, hormone imbalance, chronic stress, infections, and autoimmune conditions all of which may lead to a variety of skin conditions. It may help prevent and accelerate the healing of eczema, acne, psoriasis, and other skin problems. 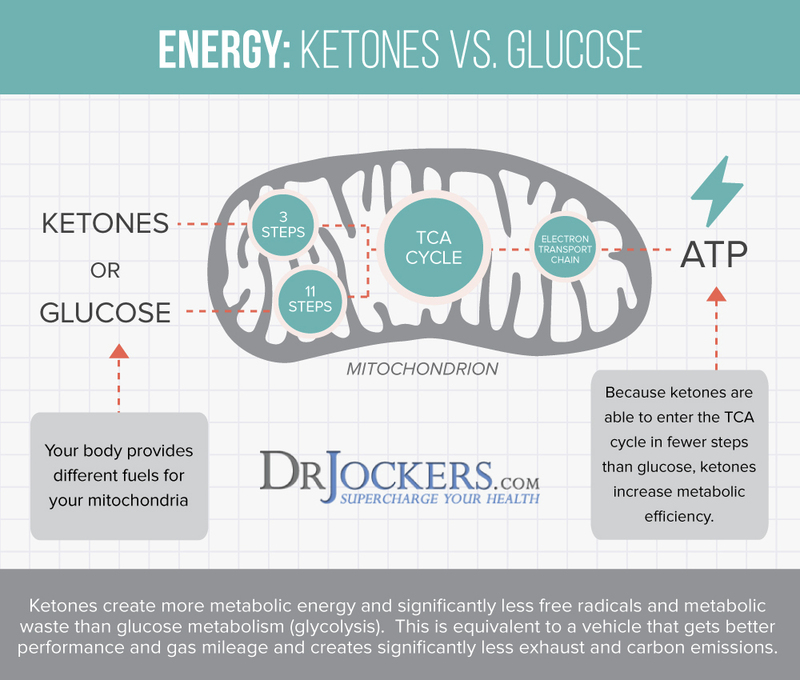 Ketosis can balance your blood sugar levels and provide stable energy. This can reduce cravings, decrease sudden hunger pains, reduce mood changes due to hunger, and lower the risk of overeating. Your mitochondria are used to utilizing sugar for energy. When doing a keto diet, your body undergoes keto-adaptation that stimulates fat burn and the die-off of weak and old mitochondria. It also stimulates the growth of stronger and new mitochondria to increase energy production and improve health. You can learn more about mitochondrial health and cellular energy here (8). The keto diet can improved mitochondria function. Since the mitochondria have such a positive impact on inflammation levels, energy production, and gene expression, it may also reduce signs of aging (9). 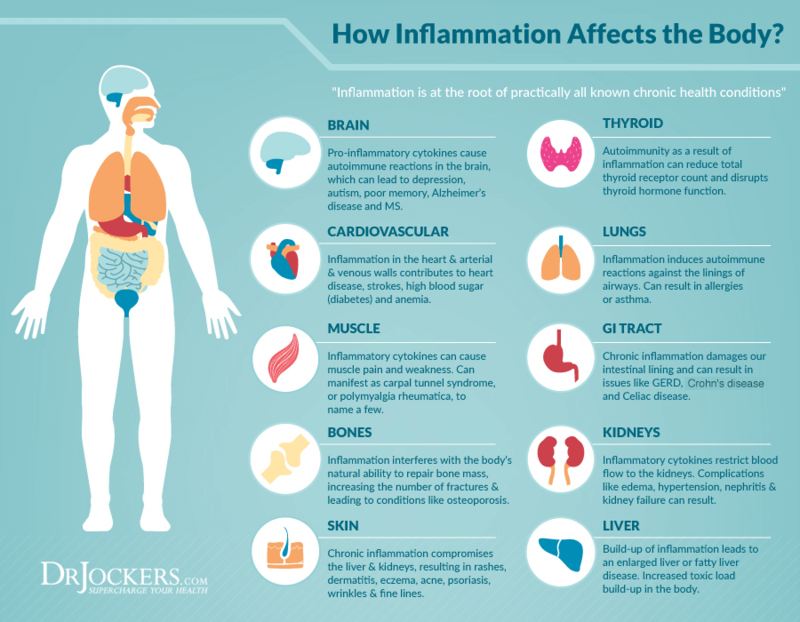 Chronic inflammation is the root cause of most disease. The keto diet can lower inflammation significantly and hence reduce the risk of a variety of chronic and serious diseases, including diabetes, cancer, heart disease, chronic fatigue, autoimmune conditions, fibromyalgia, and anxiety. Research has also shown that low-carb and keto diets can lower triglycerides, increase good cholesterol, lower blood pressure, and reduce seizures (10, 11, 12, 13). The Center for Disease Control and Prevention (CDC) recommends to use a Body Mass Index (BMI) calculator and chart to determine whether or not you are underweight. If your BMI is under 18.5, you are underweight. Between BMI 18.5 ad 24.9, you are at a normal weight. Over 25, you are overweight, and over 30 you are obese. While there is more to health than your weight, and the BMI calculator may not fit perfectly for each body type, it is minimally a good starting point (14). While not everyone experiences negative symptoms or health issues from being underweight, for some people it can become a problem. The more underweight you are, the higher your risk is for uncomfortable symptoms and health problems. People who are underweight may have a higher risk of fatigue, anemia, osteoporosis, hair loss, poor skin health, dental issues, hormonal problems, irregular periods, infertility, bad mood, and early mortality (2, 3, 4, 5). One may be underweight due to genetics, family history, a high metabolism, frequent physical activity, stress, undereating, and physical illness such as cancer or diabetes. Being underweight may also be due to digestive disorders and mental illness such as eating disorders, depression, and obsessive-compulsive disorder. If you are seriously underweight, experiencing sudden and unexplained weight loss, unusually tired, notice eating disorder behaviors, or are concerned about being underweight, visit a healthcare professional to rule out serious health problems (2, 3, 4, 5). Many people love the keto diet because it can lead to rapid and effective weight loss. Eating a higher fat diet and focusing on quality proteins can increase satiety, decrease appetite, and lead to overeating. Keto can reduce hunger pains between meals, and it can decrease your risk of overeating. If you are underweight and have a low appetite already, a keto diet may not be beneficial for you (2, 3, 4, 5). During ketosis, the keto diet helps your body to use fat for energy, thus increasing body fat loss particularly around your stomach. While this may be good news for most, for those who have low body fat, it may prove problematic. Low body fat can be particularly problematic for women, resulting in hormonal issues, loss of periods, and infertility. Furthermore, loss of muscle glycogen and water in the muscle can lead to a few pounds of weight loss. If you are underweight, even a few pounds can prove too much. If you are underweight and on the lower end of the normal range of the BMI, or simply happy with your weight and weight loss is not your goal, then you may be worried about losing too much weight and experiencing varying health consequences. Don’t worry. I have good news for you. You can still benefit from keto even if you want to prevent weight loss and even if you are looking to add a few healthy extra pounds. One study found that participants following a keto diet along with resistance-training for 11 weeks, gained 2.1 kg (4.6 lbs) of lean muscle mass (15). You can prevent weight loss, gain lean muscle, and become healthy following a keto diet. All you need to do is to follow the 10 strategies I regularly recommend my clients who are looking to prevent weight loss with keto. If you want to prevent weight loss with keto, it is possible by following 10 simple and natural strategies. Let’s dive in. 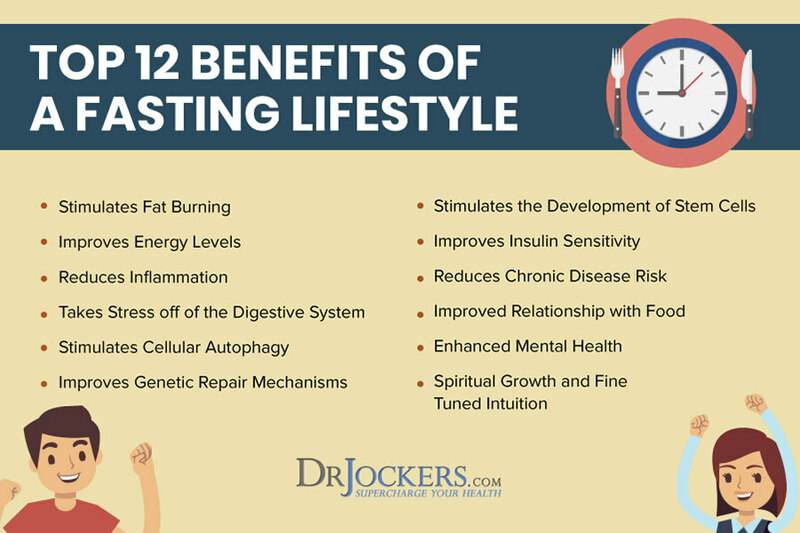 Intermittent fasting can have powerful health benefits, including lowering inflammation, inducing fat burning, improving energy and digestion, bettering your relationship with food, enhancing mental and spiritual health, and lowering the risk of chronic disease. Practicing intermittent fasting strategies can be an effective strategy to prevent weight loss when on the keto diet. Research has shown that intermittent fasting can lead to a major increase in Human Growth Hormone (HGH) levels. According to one study, just one week of fasting can lead to a 1,250% increase of HGH, while other studies have found that even a few days of fasting can result in double or triple HGH levels (16, 17, 18). Intermittent fasting can help you balance your insulin levels and can help you drop fat when needed. By increasing HGH, it can also help you increase your muscle mass allowing a healthy weight and fat-muscle ratio (19). You can learn about the best intermittent fasting strategies here. Sometimes when people notice weight loss during keto or intermittent fasting, it is actually water weight they are losing. When you are adopting a new dietary strategy, it can be easy to focus on your food intake, and forget about drinking water. Don’t make this mistake. Proper hydration is incredibly important to your health. It is particularly important during your fasting window when your body is losing an extra amount of water while using up stored glycogen. As your insulin levels drop during ketosis, you are also excreting more sodium and losing even more water as a result. This can not only lead to dehydration but a temporary drop in the number you see on the scale. 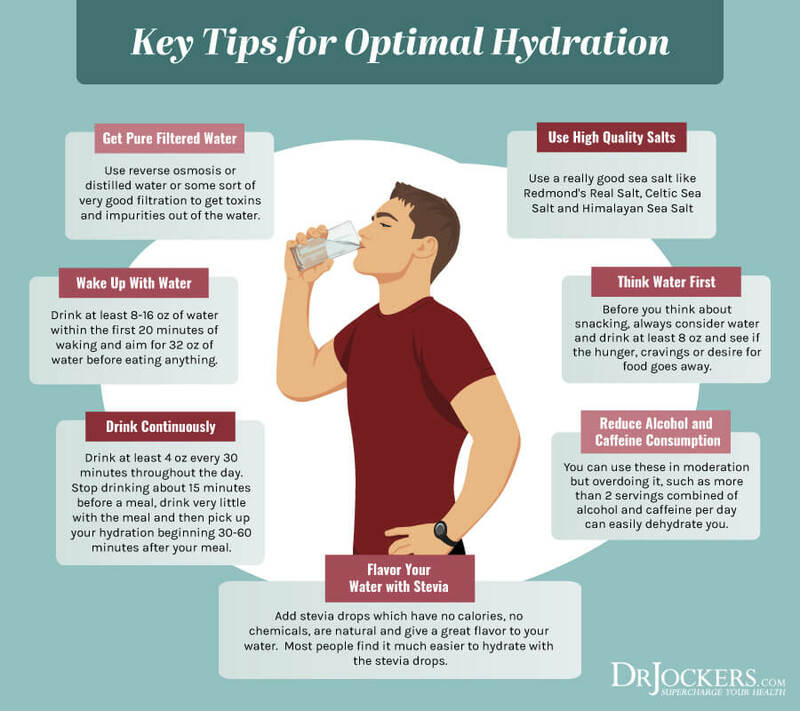 To prevent weight loss and protect your overall health with keto and intermittent fasting, I recommend that you pay particular attention to proper hydration during your fasting window. Drink at least 32 oz of water during the morning of your fasting days. Drink water continuously throughout the day and pay particular attention to your fasting window. You may also want to add herbal tea to your routine for extra hydration and herbal health benefits. If you want to stay healthy and prevent weight loss with keto and intermittent fasting, it is important that you feast during your eating window. Keto and intermittent fasting are not about starvation or unnecessary calorie restriction. Ketosis can also lower your appetite and make it easy to undereat. This is good news for those who are trying to lose weight, but something to be aware of if you are hoping to prevent weight loss. If you are underweight or at the risk of becoming underweight, then it is in particularly important not to restrict your food intake during your eating window, but use it as a feast instead. A helpful strategy to employ in order to prevent weight loss is to track your meals for a few days. Tracking your meals for a few days can help you see if you are taking in enough calories for the day. You can also take a realistic look at your daily macronutrient ratio and the types of foods you are consuming, and adjust as needed. Remember, when on a keto diet, 60 to 80% of your calories come from fat and 20 to 30% of your calories come from protein. However, it is not only the ratio of protein that matters but the amount and the quality of the protein. To prevent weight loss and to experience the full health benefits of keto, it is crucial to eat healthy, high-quality fats and proteins while meeting your daily calorie needs. Healthy fats are the base of your keto diet. Healthy fats are nutrient-dense sources with anti-inflammatory and therapeutic benefits for your body. Some high-quality, nutritious fat sources include avocados, coconut fats, olives, olive oil, grass-fed butter and ghee, pasture-raised eggs and MCT fats. Quality protein is important for your overall health and can help you gain lean muscle. However, it is important to keep your protein intake at 20 to 30%, as too much protein can stimulate your body to form glucose and prevent your body from entering ketosis. Clean protein sources include pasture-raised beef, bison, lamb, chicken, turkey, wild-caught fish, wild game, and pasture-raised eggs. You can learn more about the keto food pyramids and healthy nutrition with keto here. Following healthy nutritional guidelines can help you to prevent weight loss, reduce your risk of becoming underweight, and meet your nutritional needs on keto. Don’t be afraid to exercise while on a keto diet. If you are smart about exercising, it can prevent weight loss and can lead to lean muscle gain. If you are intermittent fasting while on a keto diet, I recommend sticking to low-impact exercise during the fasting window, such as yoga or light walks. However, if you want to prevent weight loss, you can benefit from strength training at the end of the fasting window and on non-fasting days specifically if you are using an alternate day intermittent fasting methods, such as Crescendo Fasting and Cycle Fasting. Strength training is very important for both building and holding on to your muscles. Resistance training can improve your strength, motor control, and flexibility. 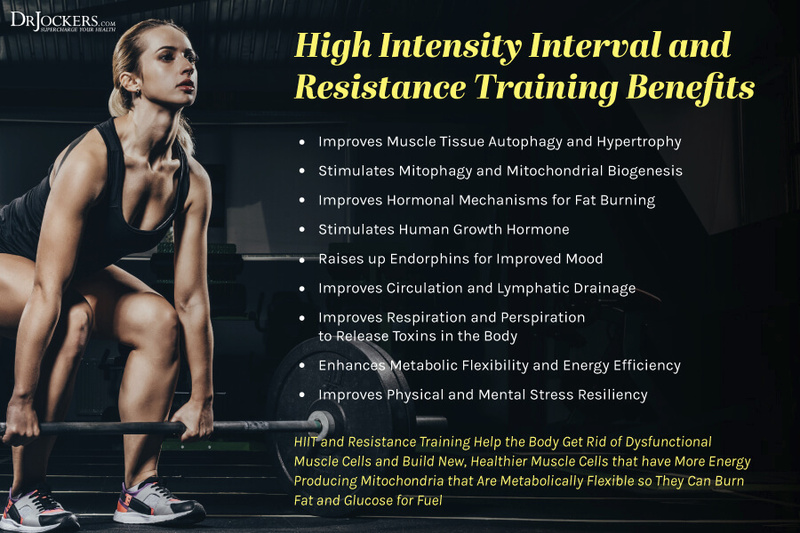 Strength and resistance training is an incredibly effective way to significantly increase your HGH levels and allow the increase of muscles. Weight lifting, body weight exercises, high-intensity workout, interval training, circuit training, and sprint are all fantastic ways to boost your HGH levels and increase muscle mass (20). Besides building muscles, strength training can benefit your cognitive abilities and mental health. It can prevent disease, including Parkinson’s disease, multiple sclerosis, and cancer (21, 22, 23, 24). Eating a healthy amount of protein on a keto diet, will help to prevent weight loss if you are underweight or at a healthy weight. With the support of protein, you can build lean muscle mass. When you are exercising, your body is going through a constant balance between breakdown and repair. Amino acids in a protein can help your body to repair damaged tissues and build muscles. Remember, because it can prevent ketosis, too much protein can be counter-effective. You may benefit from a food journal and watching your body’s reaction to getting just the right amount of protein. If you want to build muscle and have an intense workout regiment, your target range should be between 1.0 and 1.6 grams of protein per kg of body weight. Aim for 1.0 to 1.2 g per kg of body weight as a start. Bump up your protein intake on hard training days or if you are a serious athlete in training. Make sure to use nutrient-dense, clean protein sources which you have learned about earlier. Carb cycling and carb backloading is a nutritional strategy based around eating carbohydrates at strategic times. This strategy can help your ability to burn fat, build muscle, sleep better, and have more energy. Carb backloading can prevent weight loss while on a keto diet if you don’t need to lose weight. When you are carb backloading, you are eating very little or no carbs until the evening. In the morning, you are either fasting with water or tea or consuming a meal high in fats and protein, such as an omelet or keto hashbrowns. For lunch, you are either still fasting or choosing a high fat and protein meal with little or no carbs, such as coconut fried chicken, keto burger, or lettuce wraps with avocados. Non-starchy veggies, nuts, and seeds are great ideas to meet your fiber needs while keeping your carb intake near zero. For dinner, you can eat healthy carbohydrates, including sweet potatoes, beets, pumpkin, carrots, and berries. Remember to keep your overall daily carb count low. For further benefits, you can try cyclical keto carb cycling with carb backloading. Follow a strict keto diet for 10 days and allow carb refeeds on the evening of the tenth day with healthy carbs. Repeat this process and customize it to your needs by carb refeeding once a week, once every 10 to 14 days, or even once a month. You can learn more about carb cycling with carb backloading in this article. Managing stress and prioritizing sleep is incredibly important in order to benefit from the keto diet and to prevent weight loss. Adequate sleep and rest allow your muscles to recover and grow. When you are sleep-deprived and are highly stressed, it is incredibly difficult to gain lean muscle even if you work out a lot. Stress, fatigue, and a lack of sleep can also raise your cortisol levels. High cortisol negatively impacts your body ability to gain healthy weight. It makes muscle gain difficult. While it may result in gaining fat, it also reduces muscle mass, which is the opposite of what you want. In others, stress and sleep-deprivation result in a low appetite which can result in further weight loss (25). To prevent weight loss and ensure muscle gain, make sure to sleep 7 to 9 hours per night. Don’t over train your body. Find time to relax during the day. Meditate, learn breathing and relaxation exercises, spend time in nature, journal, spend time with loved ones, and engage in activities that help you lower your stress, relax and enjoy life. Your gut health is absolutely critical for your success while on a keto diet and must be considered in order to prevent weight loss, keep healthy weight on, and build muscle. When you think about poor gut health, the first things that come to mind may be gastrointestinal symptoms, such as diarrhea, constipation, vomiting, or heartburn. However, a compromised gut flora, bacteria or fungal overgrowth, and infections can lead to other symptoms and health issues such as brain fog, fatigue, neurodegenerative conditions, and autoimmune problems (26). If you have poor gut health or perhaps have leaky gut, adding a huge amount of fat on a keto diet may lead to metabolic endotoxemia, a low-grade inflammation that can worsen your symptoms. In some people, poor gut health can also lead to further weight loss due to low appetite, malnutrition, malabsorption, diarrhea, or vomiting (27). To improve your gut health, prevent weight loss, and ensure your success with a keto diet, it is important to support your gut with digestive enzymes, prebiotics, probiotics, and fermented foods. Digestive enzymes are a group of enzymes that help to break down molecules in your food into smaller building blocks to facilitate better absorption. I recommend Keto Digest™ for maximum support. If you have acid reflux or other symptoms of indigestion, I recommend Acid ProZyme. Prebiotics are a form of dietary fiber that supports the friendly bacteria in your gut and helps probiotics to do their job. Prebiotic-rich foods include garlic, onion, asparagus, leeks, cabbage, Jerusalem artichokes, jicama, and greens. Probiotics are live, good bacteria that help to improve and restore your gut flora. Probiotic-rich foods include fermented foods, such as kimchi, sauerkraut, yogurt, kefir, and kombucha. I also recommend taking a daily probiotic supplement, such as Keto Biome™ for ultimate gut health. 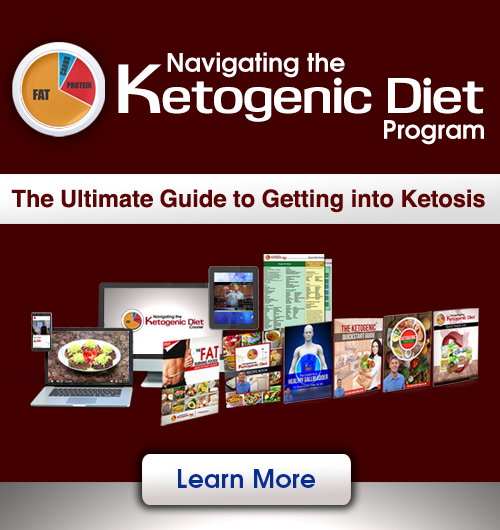 Exogenous ketones are supplements that can mimic ketosis and raise blood ketone levels. They can improve your results while on a keto diet and may help to prevent weight loss, aid muscle gain, and may lower your risk of neurodegenerative diseases. They may help you reach ketosis without following a keto diet and can help your transition to keto as well (28). Branched-chain amino acids (BCAAs) are amino acids with an aliphatic side-chain with a branch. BCAAs can activate specific pathways in your body that stimulate muscle protein synthesis. Therefore, BCAAs can help you build and increase muscle, and prevent weight loss. They may also lower and prevent muscle soreness, muscle wasting, and exercise fatigue (29). If you wish to prevent weight loss and increase muscle tone, I recommend, Keto Edge™ and Amino Strong™ right before and after strength training. Keto Edge™ is a revolutionary product designed for the high achiever who wants to improve their health and get the most out of life. This proprietary formula of exogenous ketones, adaptogens, amino acids, and phospholipids can help you get an edge in life. It can help you increase your energy, performance, fitness, brain function, fat loss, and stress adaptation. It can help you prevent weight loss and gain muscle while on a keto diet. Amino Strong™ represents a breakthrough in the use of amino acids for muscle protein synthesis. It can support muscle strength and function or prevent muscle loss associated with inactivity or aging. Along with Keto Edge™, it can help you prevent weight loss while gaining muscle on a keto diet. There has been extensive research on creatine monohydrate as an effective supplement for exercise performance. It can help you prevent weight loss on a keto diet by supporting you in gaining lean muscle weight effectively. Creatine can help you gain muscle, increase strength, improve exercise performance, and boost your brain health (30, 31, 32, 33). Creatine Monohydrate not only has science-backed benefits but is also affordable and easy to find. I recommend Optimum Nutrition Micronized Creatine Monohydrate Powder for maximum benefits to prevent weight loss while on a keto diet. The keto diet has been increasingly common in recent years as an effective way to improve your health and lose weight. While weight loss on a keto diet is desired by many, it may be a problem for those who are already lean and don’t wish to lose more weight. If you want to prevent weight loss while on keto diet, it is absolutely possible while still experiencing the health benefits of keto and you can benefit from 10 simple strategies. Intermittent fasting, proper hydration, eating plenty of healthy fats and proteins during your eating window, strength training, carb cycling with carb backloading, managing stress, and prioritizing sleep are key to prevent weight loss while on a keto diet. Taking care of your gut health is a non-negotiable in order to prevent weight loss and to experience the true health benefits of a keto diet. I recommend taking probiotics, digestive enzymes and stomach acid support. Gaining lean muscle is one of the best ways to prevent weight loss with a keto diet while increasing your health, strength, and vitality. Taking exogenous ketones, branched chain amino acids, and creatine monohydrate can help you increase muscle mass and prevent weight loss on a keto diet. Following these powerful strategies and using the supportive supplements I recommend can help you prevent weight loss and set you up for success while on a keto diet. We have created a support bundle to help that offers 25% off the normal pricing on these products here. Hi Pat, thank you for your kind words! thank you. This is really helpful for me as I am trying not to loose weight. Loved the picture of your wife and daughter! Hi Ina, thank you for sharing! Good Article Dr. Jockers, however preventing fat loss in underweight individuals is not the same as gaining lean muscle mass in those individuals (to keep the weight steady). This is great for people who have enough fat, but underweight people (or people close to it) cannot afford to lose any fat, regardless of muscle mass. We all need some fat reserves to feel OK and to function properly. Hi Zdenko, The vast majority of people who are underweight (unless they are truly going through a starvation process) have enough fat reserves because the body works to protect a certain percentage of body fat but they have significant muscular atrophy. Without the lean body tissue, they are weak and brittle. The key is to support the lean body tissue and the appropriate amount of body fat will be regulated by the bodies homeostatic systems.